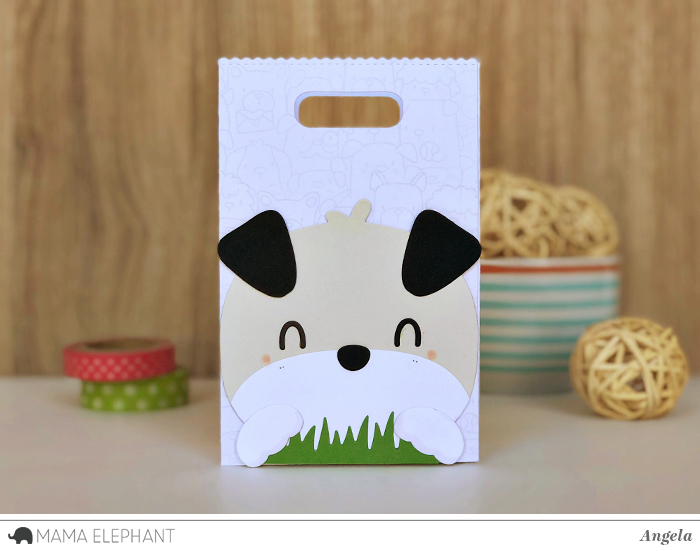 We are starting here with Angela's Favor Bag Accessory - Dog project. She first stamped some cute pups from the new stamp set "The Dog's Woof" onto a Gable box and some Favor Bags before assembly. Then she mixed and matched pieces from the "FBA-Dog" Creative Cut set to make these adorable doggies! Fill them with treats and gifts and we have a pup-fect package! Here's the 1 minute January 2018 release round up video! Those dogs are too cute! What an awesome new release! Love this release! The little elephants are just too cute! LOVE LOVE LOVE!! SO super excited about all these adorable little pups!!! Love this release! Finally the doggies! Thanks for creating such cute stamps. So excited for the new dog favor bag. It’s adorable!! I make lots of favor bags and will definitely use. I love ❤️ all your new release as always!! I’m addicted to Mama elephant 🐘!! Love all of the doggies, so very cute, AND those elephants... Everything is wonderful!!! This release is too cuteeeee!!! The favor bags are amazing! I love it all! What a great release. I love the dog favor bag accessory. I have the others and can’t wait to add this one to my collection. I love the dogs and elephants! So fun! 1. Awww!!! Another amazing release!!! These bags are all so cute! My fav are the dogs!!! Oh my goodness! These are all so adorable! 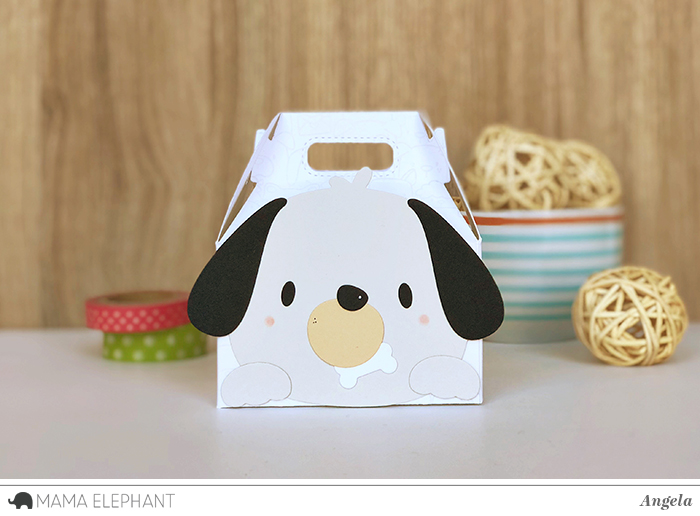 Love these adorable doggy treat containers. There are so many great items being released today! The Dog's Woof is my favorite, though! I'm a dog person so this set is a must-have, especially since I have the cat version of it! I already liked your page on facebook and shared your new release along with a picture of a card made with The Dog's Woof! What a great release. Love that you added the dogs to your group stamps. The cloud shakers are also adorable. I already follow you on Twitter and tweeted about your relese. I already follow you on Instagram and shared your release. My name is kebord2. This is such a cute adorable release :) Loved all the inspirations team :) Thank you for the blog hop! I am in love with these puppies! So excited about this release. I love the dog favor bag accessory. Such cute new products! And great inspiration from the hop. Thank you for the chance to win! 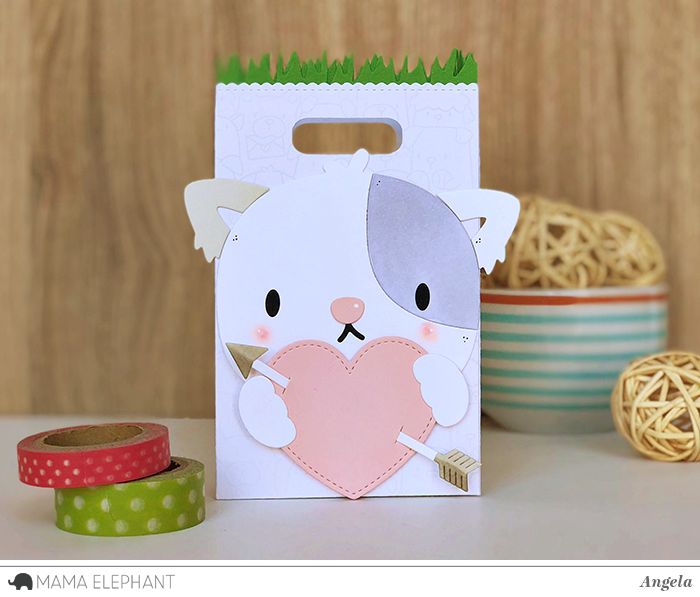 These FBA-dogs are really the cutest way to offer a little treat to someone you love ! Those doggies are really cute ! finally, been waiting for these!! love the puppies! THat puppy is the cutest and I love the Big Cloud shaker! Oh my word...these are all so sweet!! Love! What a fabulous set! Love it!!! The Doggy's Woof set is super cute! It's my favorite from this release. This release is so fun and I love those doggie decorated bags. Wonderful, I so love this release with all the cute doggies! It is all so cute. My granddaughter would love the puppy and I love the cloud shakers with the elephants and balloons. The bags are just gorgeous - my kids would love those at parties! I love anything that is animal based!! So naturally these are awesome!! I love the cute images!! Great idea for treat bags! These products are just too adorable. Already liked and following on Facebook. I love all the doggies for this new release! Super cute! Following on Instagram. Doodlesnap is my IG name. What a fun release round up! I placed my order and can’t wait to receive it! I love the treat boxes. They are perfect to fill up with special candy for Valentine’s Day. I follow on Facebook. Love the cute box and bags! Adorable! This entire collection is adorable. I just finished placing my order, and will be looking for lots of ideas to use my goodies in card-making. Thanks for keeping reasonable fees for shipping charges. It is appreciated. What a great four-legged release! There is something for everyone! I follow you on Facebook and shared the news of your release. Fantastic release - I love the stamp images and all the creative dies! I already follow you on Instagram, too! How adorable! Love those sweet treat boxes! Such an adorable release, i Love all the doggy stuff, and the cloud die set! Wonderful release and awesome projects. I follow you on facebook. I think Instagram.. I will check. 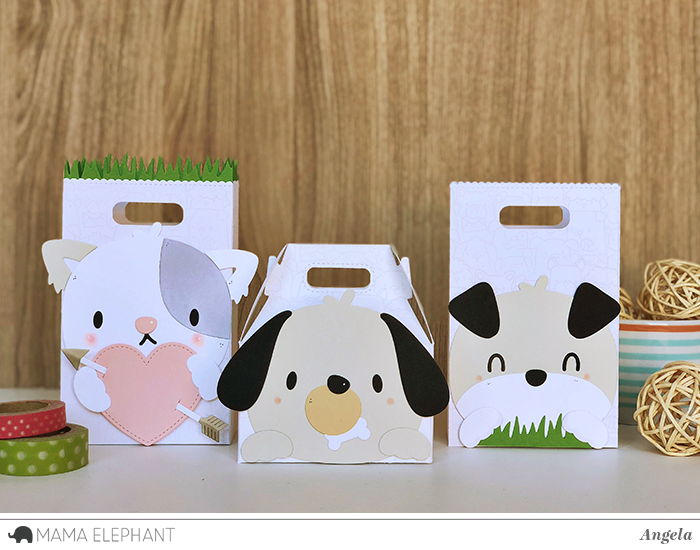 Doggie dies for treat bags is so cute! Adorable! Can't wait to hop along and see what the rest of the DT has created! These dog dies are adorable! This release oozes cuteness--love it! How gorgeous are these doggies! Oh my gosh, these little puppies are soooo cute! I especially love the floppy eared one. Everything is so cuuute!! Loved the quick video showing everything. I love the sweet little elephants on their shaker cloud. Darling!! And today's sweet pups & kitty are adorbs. Another amazing release, can’t wait to see it all! Love these little puppies and very clever to have options for the ears!! I just can’t even take it! These treat bags are adorable!! I follow you on FB too !! Oh my! The treat bags are adorable and I love everything in the quick video roundup! YAY a doggy release! I LOVE this release so much! I like you on Facebook! for sure! Thank you for adding dogs! These are too cute! Love 'em all! What an adorable fun release! Such a lovely release! Puppies are my favorite. Love so much everything in this set! Love the font and all the cute puppies! So cute! Something to use for give-aways this Valentine's!-Maria Giselle B. Love the new dog stamps. I just discovered Mama Elephant, for real, a couple months ago. Your stamps are so adorable!! And these little dog treat bags are THE cutest!! I'm off to hop. Aww, love the favor bags, so many wonderful products in this release. I love the animal dies. So cute!!! I really need them. Woof, woof. Love the Dogs Woof and the cute dog add on to the bag dies. Love the elephant stamp set! I follow ME on Facebook and shared. I'm following ME on IG and shared. g on Twitter and Instagram! What a fun stamp set. Possibilities are endless! I love the Dog's Woof stamp set !! i follow ME on instagram and love all your posts! i love those puppies they are too cute! i follow on fb! i love you stamps and dies always so adorable! Adorable!! Those puppies are so cute! Seriously! I want everything! 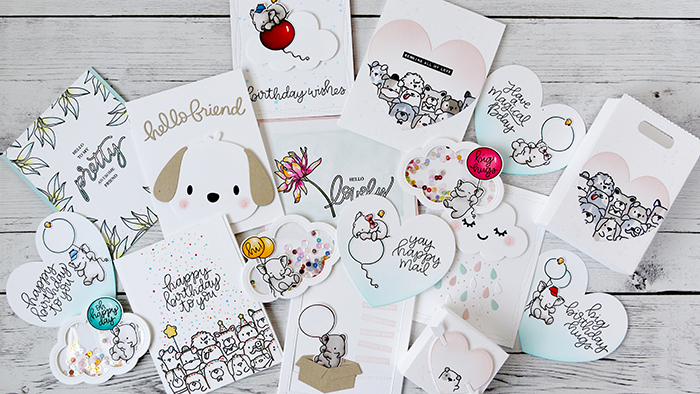 I’ve been working full time and going to school, I could use a little de stressing with some beautiful new stamp sets �������� one of my favorite release are the Dogs Woof!! Seriously! I want everything! I’ve been working full time and going to school, I could use a little de stressing with some beautiful new stamp sets 😍😍😍😍 one of my favorite release are the Dogs Woof!! I love those puppies....can't wait til the release. I need another job to pay for it all. The dogs are too cute And then the puppy that you can change up, way too cute! I cannot get enough of your adorable designs! Love love love! Those treat bags might be the cutest thing ever!